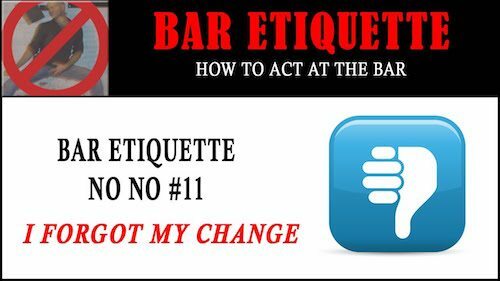 Bar Etiquette Rules: Bar Etiquette NO NOs video series #11 – this one’s called I Forgot My Change. 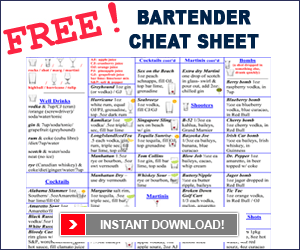 So you’re at the bar, and you’re looking for a drink. And you get your drink, and it’s time to tip. I’m sure you did! Hold on, then, hold on.. let me go see if I can find it in my tip jar. How much was it? Come on! You can’t leave the money on the bar and expect to get it back. You ain’t getting it back. You left it, it’s gone.